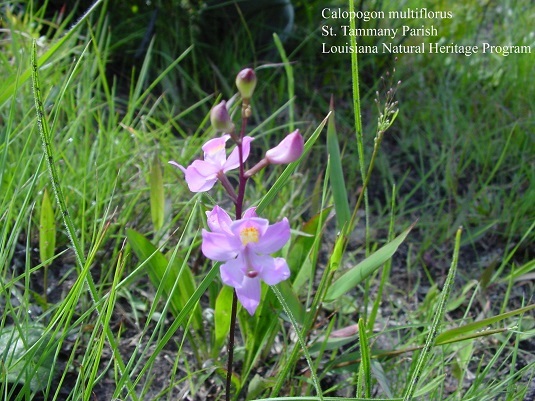 Louisiana has 44 species of native orchids and some occur in at least 60 of the 64 parishes. 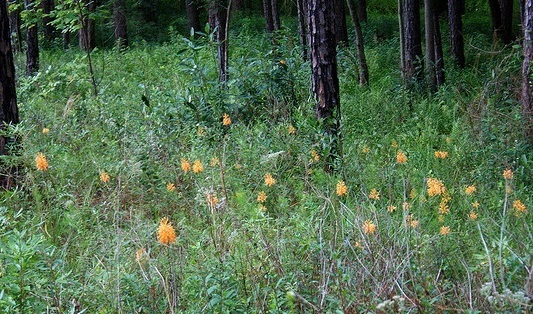 Found from the swamps and wetlands of South Louisiana to the rolling hills of North Louisiana, these flowers are a much overlooked part of the Louisiana flora. One of the largest and most spectacular native orchids is the Cypripedium kentuckiense. 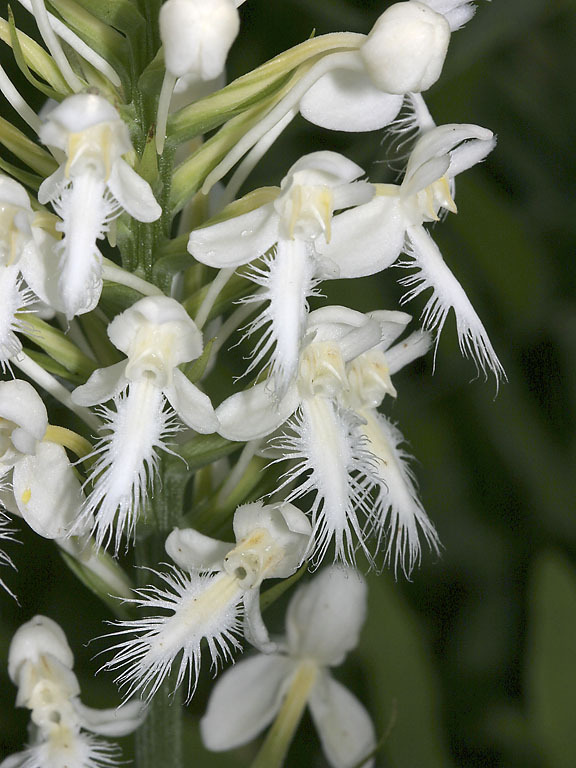 Many of the state's orchids have small delicate flowers that come in a variety of colors. 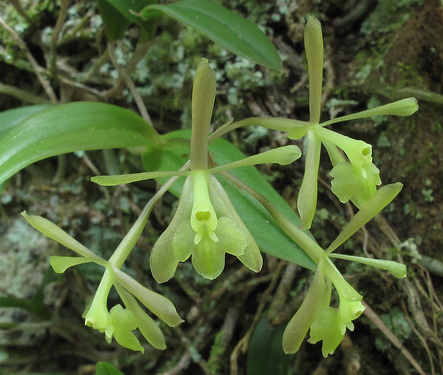 All but one is terrestrial, with the lone epiphyte being the Epidendrum magnoliae. Some orchids bloom in all twelve months of the year, with the largest number of species blooming in the spring to early summer. 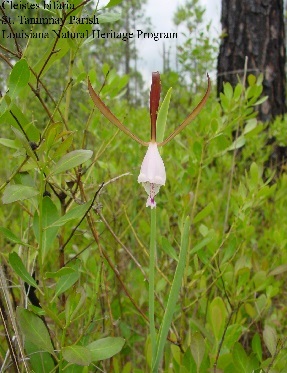 The Central Louisiana Orchid Society is part of a cooperative effort between the Kisatchie National Forest to restore this rare and most spectacular orchid. This cooperative began with the initiative of a Shreveport high school student in 2006. 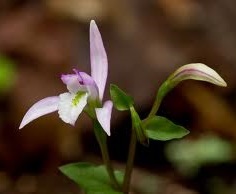 Read more about this very important project on the Cypripedium Study tab above. 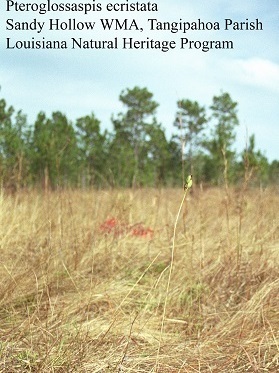 Conservation is critical for the survival of our native orchids. 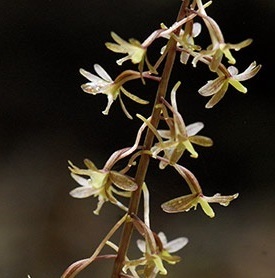 Like other rare plants, orchids survive best in their natural settings where they can pollinate and obtain the nutrients they need to grow and reproduce. 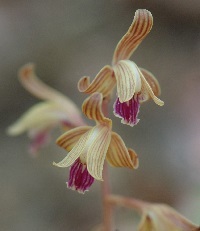 Terrestrial orchids depend on mycorrhizal fungal associations to survive and reproduce and these conditions are not typically available in people's yards or potting mixes. 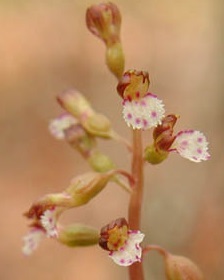 Loss of habitat and thoughtless collectors have made many orchids rare, endangered, or even extinct. Many people are tempted to pick these beautiful flowers or attempt to transplant them into private collections. 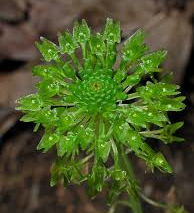 Unfortunately, most wild collected plants that are brought out of their native habitat will die a year or two at best after transplanting. 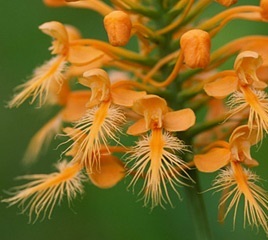 Furthermore, many native orchids are protected by law under the Endangered Species Act (ESA) and other state laws. So it is important that they be left where you found them without picking the flowers. 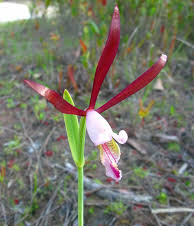 Picking an orchid flower prevents the orchid from producing seeds and reproducing themselves. A picture will last much longer! 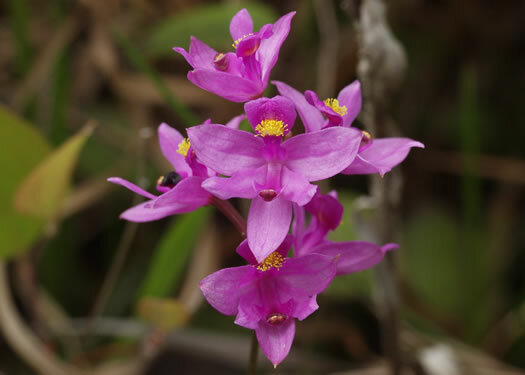 When photographing native orchids, avoid getting too close to the orchid plant to prevent trampling small unseen seedlings or compacting the soil around the plant causing the roots to smother. 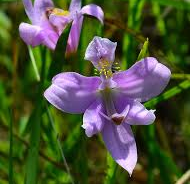 If you're interested in growing native orchids, be sure to buy plants from a reputable source that has propagated the plants from seed. Catching a glimpse of a rare orchid growing in the wild is a moment to be treasured! 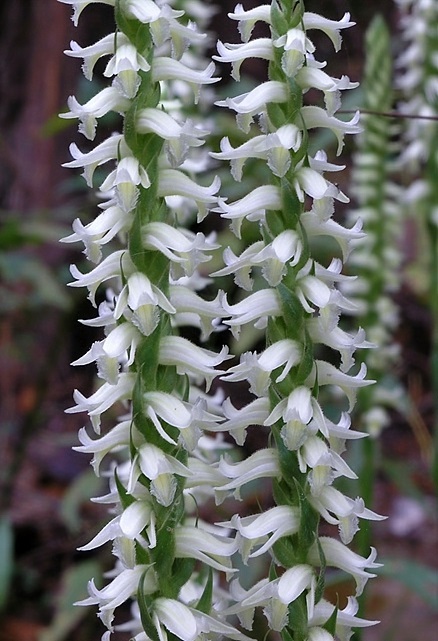 ﻿For more information on these species, please see our Native Orchid of the Month page.